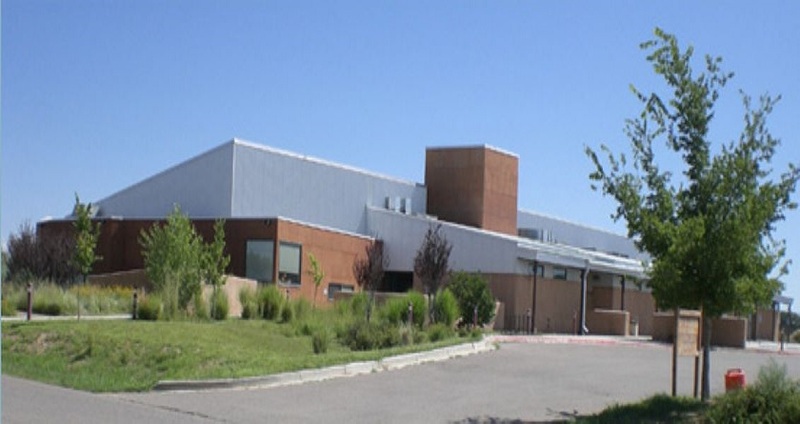 Located in the heart of New Mexico on historical route 66, the Moriarty Civic Center is surrounded by beautiful mountains and farmlands most famous for pinto beans and alfalfa. Known for our small town hospitality, we have all the amenities of the big city. With less than 300 miles from anywhere in New Mexico, Moriarty is an ideal location for your special event. 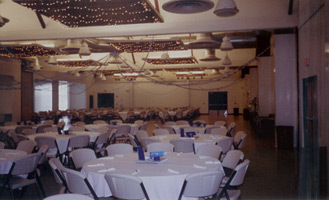 The Moriarty Civic Center, built in 2001, can easily accommodate small intimate gatherings or a large statewide convention. The 7627 square feet convention hall will hold 450 attendees or seat a banquet of 400. Additionally, there are smaller meeting rooms that can be arranged in a number of ways. The staff at the Moriarty Civic Center will set-up these rooms for convention breakout sessions, in classroom style or for smaller conferences. The spacious hall has excellent acoustics that works with your sound system or our PA system and AV equipment. Tables, chairs and even a stage are provided by the Civic Center. Wi-Fi and free front door parking is included. You choose your set up and decorations. Our health department approved kitchen is equipped with heavy-duty stoves and ovens, a walk-in refrigerator, stainless steel freezer, large worktables and an icemaker. Large enough for a catered banquet or small party, the kitchen will meet your needs. When an overnight stay is required, Moriarty has motels, RV Park and numerous restaurants to accommodate your needs. Year round events such as the Pinto Bean Fiesta, the 4th of July celebration and rodeo and we can't leave out the famous Pumpkin Patch, which brings memories to all that attend. Museums such as The Historical Society and the US Southwest Soaring Museum are among some of the must see attractions. If beer is something you enjoy, we have a brewery with tours and tasting. City parks are in walking distance with shopping just down the road. We are confident that your stay in Moriarty will offer unlimited opportunities to enjoy before, during and after your event at the Moriarty Civic Center. Best of all, the staff at the Moriarty Civic Center is dedicated to make your event successful by working step-by-step with you and your planners. For reservation or questions please contact Jace Alderson, Civic Center Director.